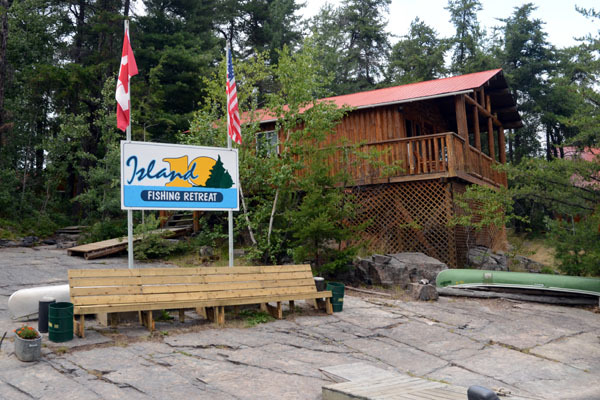 This summer my son, Owen, and I had the great pleasure of spending a week at Ken and Bev Byberg’s Island 10 Fishing Retreat on Lady Evelyn Lake, in northern Ontario. This boat in or fly in 10 cottage island resort has access to a large area of water including Lady Evelyn, Sucker Gut and Wilson Island Lakes. Access to a number of remote lakes is also available. The service here was beyond fantastic – always greeted with friendly smiles, help at the dock during launching and landing, well stocked shore lunch kits, excellent advice on hot spots and techniques – the list goes on. A special shout out to Tyler who gave Owen a dip net to trap minnows, Adrian who slipped us some extra worms and leeches, and both plus Mike and Ken for hot spot advice for wherever we were wandering to that day. The food staff were equally impressive, always there with more food than one could ask for, even special service for those with special dietary needs. The food itself was awesome, with a variety of meals ranging from a full turkey dinner to, Owen’s favorite, “Italian night”. My favorite was the communal fish and chip fry, made more fun by Ken’s “guess the catch” game (sadly, no one had caught a sucker to try out this trip). 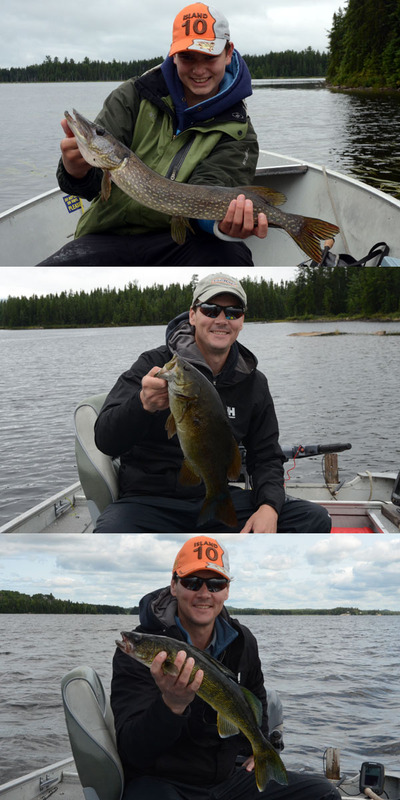 A sampling of Island 10 catches. The boats were one of the big reasons I chose Island 10. 16 ft Lund Rebels or Furys equipped with 25 hp electric start Yamaha outboard engines, padded swivel seats, live well, vinyl floors and Humminbird depth finders certainly added to our fishing enjoyment and success. Some groups also brought in portable electric trolling motors – something I’ll likely do next time considering all the pike fishing we did. Owen and I spent a fair bit of our time hunting pike in the many bays of this large water system and we noticed an interesting trend. In some bays we had fantastic fishing while others were quite sterile – even though they contained rocks, submerged logs and stumps. While these bays looked good, a certain level of weed growth appeared to be needed to hold the baitFish and the pike. 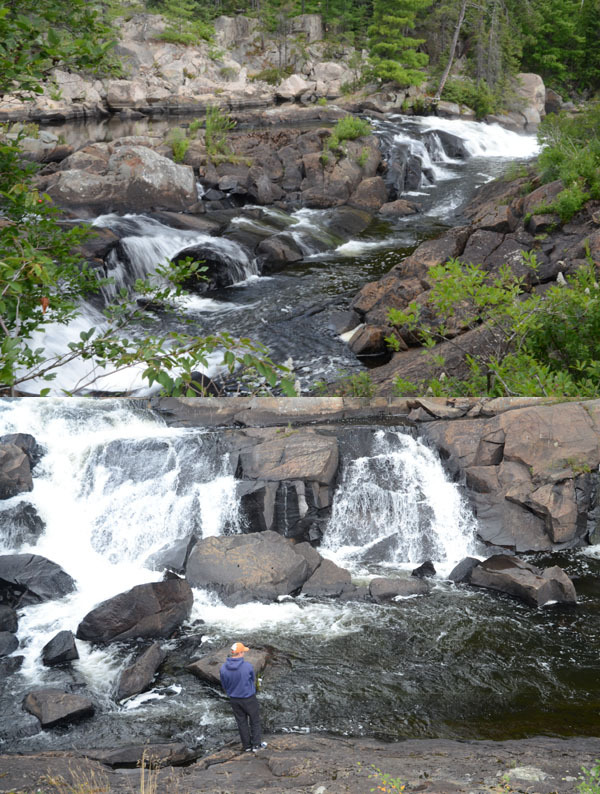 The trick was to look for baitfish swimming in the area, no baitfish – no pike. As this was a mid summer trip we had to work a bit harder for walleye but were still rewarded with good success. There are some brutes in the system (as witnessed by Ken’s big fish log book) but we settled for descent sized shore lunch fare ranging from 14 to 21 inches. 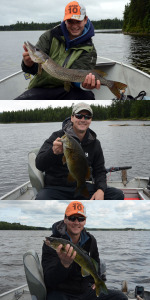 Smallmouth bass are also available and we had a number of incidental catches in the 3-3.5 lbs range while pike and walleye fishing. All in all, an excellent trip with spectacular scenery, good fishing, great food and just fantastic friendly service. Northern Pike, Smallmouth Bass, Trip Report, Walleye.